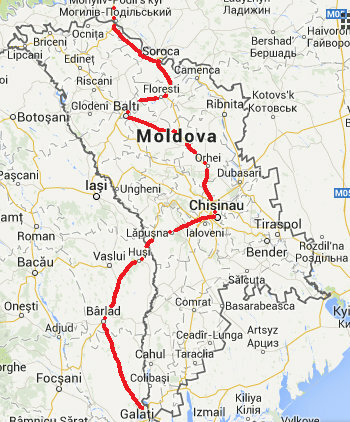 Moldova does countryside well but fails miserably at towns especially its traffic-clogged capital, Chisinau. The UK Foreign Office suggests care is needed if you travel to Transnistria, the breakaway region along Moldova's eastern border. The country feels at times like a giant allotment where every inch of space in every garden is given over to growing vegetables. There is a lot of beauty to be had a few tens of miles north of Chisinau. 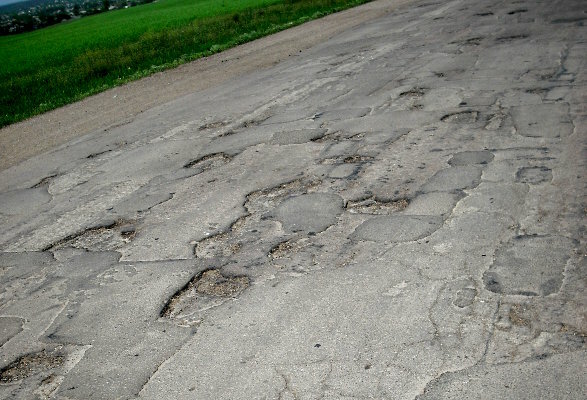 Moldova continues the pothole theme that starts in Romania and reaches its climax in Ukraine. Even many of the main roads would be better suited to mountain bike tyres. In many places but especially in Chisinau, road signs seemed to have fallen out of fashion. You will often find roundabouts with four exits and no clues. 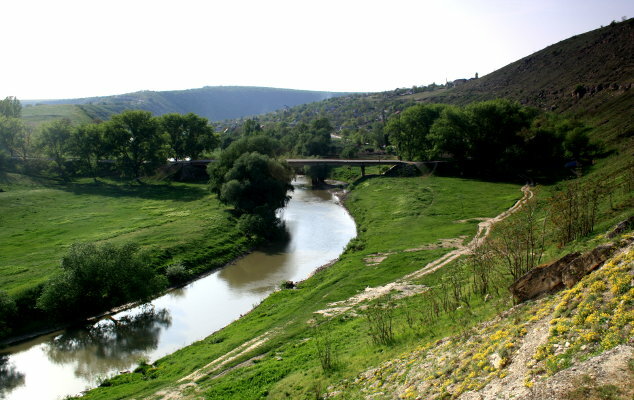 Moldova has no campsites and few hotels. The hotels it does have are not as cheap as you might expect in Europe's poorest country although compared to the UK they are almost free. My four hotels averaged €25 (ranging from €19 to €31). At a restaurant in Balti a large pizza and two pints came to €6. Learning a little bit of Russian will get you a long way. You might get some English out of the young but don't count on it. Curiosity, as a practice for Ukraine.